Chilliwack/Aggasiz/Hope/Boston Bar – “I’m hungry,” are words that bring anguish to parents of children for some families of the Upper Fraser Valley who will not have enough to eat over the Christmas season. Join us, as RCMP officers’ aid in the battle against hunger during the Holidays by hosting the Seventh Annual Stuff the Cruiser campaign. Officers across the Upper Fraser Valley invite the public to drop by designated locations on December 12 and stuff police cruisers with non-perishable food items and cash donations to be presented by police to that local community’s Salvation Army Food Bank. Chilliwack: “In last year’s Stuff the Cruiser event police collected almost 5,400 pounds of groceries and over $2,400 in cash for the local food bank. This year with the generous support of our community we are striving to exceed those totals. The 2015 Stuff the Cruiser event is being held between 10:00 a.m. and 4:00 p.m. in the parking lots of the Save-On Food Stores at 31-6014 Vedder Road and 46020 Yale Road,” said Cst. Julie Bauer of the Chilliwack RCMP. Agassiz: “Our Stuff the Cruiser event of 2014 gathered 2 SUVs of groceries and over $597.00 in cash for our local food bank. We are looking to the community to surpass those numbers this year. 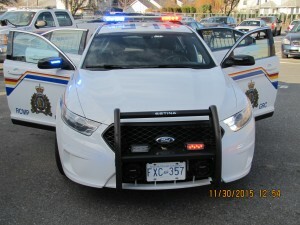 The 2015 Stuff the Cruiser event is being held between 9:00 a.m. and 3:00 p.m. at Super Valu,” said Cst. Teresa Parsons of the Agassiz RCMP. Hope: “Through the generous support of the community the RCMP Stuff the Cruiser campaign collected over 1,600 pounds of food and received close to $460 in cash donations for our local food bank last year. We are striving to exceed those totals this year. The 2015 Stuff the Cruiser event is being held between 10:00 a.m. and 4:00 p.m. in the parking lot of Coopers Foods. ,” said Staff Sergeant Karol Rehdner of the Hope RCMP. Boston Bar: “The community embraced the RCMP Stuff the Cruiser campaign in 2014 donating over 959 pounds of food and $4,500 in cash donates to our local food bank. We anticipate a robust participation from our community once again this year. The 2015 Stuff the Cruiser event is being held between 10:00 a.m. and 4:00 p.m. in the parking lot of Kal Tire,” said Cst. Francois Lewis of the Boston Bar RCMP. “RCMP invite everyone to come to any one of our Stuff the Cruiser locations in the Upper Fraser Valley and take the opportunity to meet your local police officers and participate in this worthy cause,” said Cpl. Mike Rail. 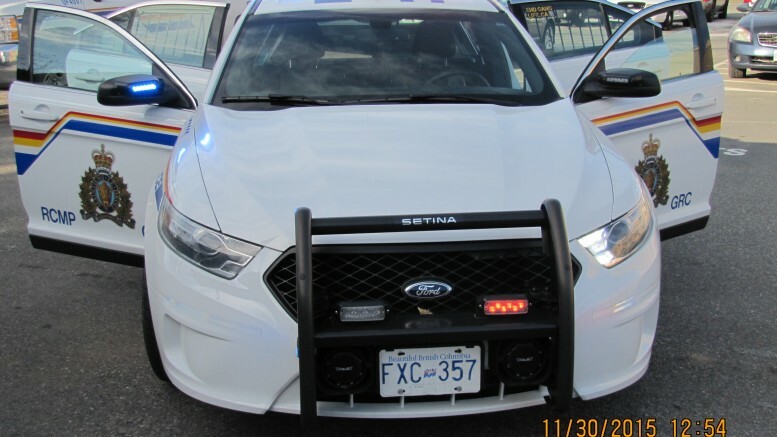 Be the first to comment on "RCMP Stuff The Cruiser For Christmas Saturday December 12"